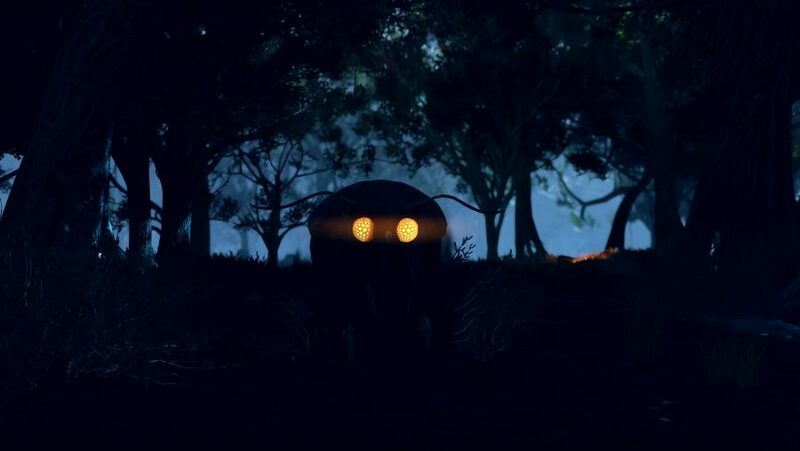 The next entry in the famous retro-futuristic post-apocalyptic series is almost here. Bethesda has shared a lot of details about the next Fallout game in the reveal and at E3 2018, with gameplay following soon after. 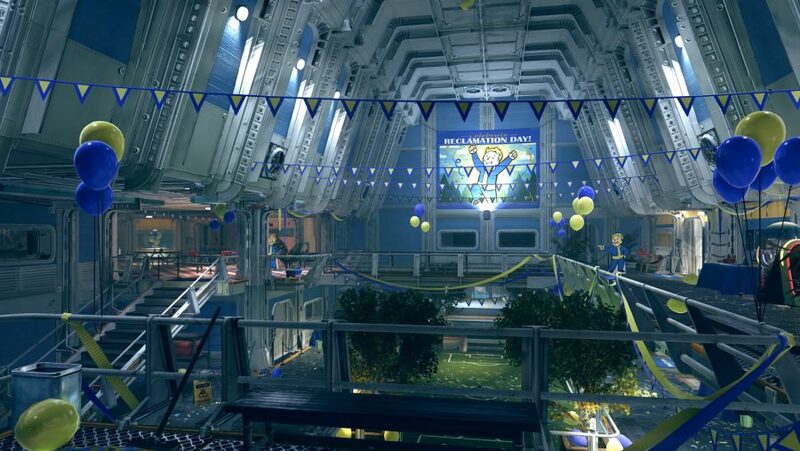 The next Fallout will revolve around the titular Vault 76, a vault that already exists within the Fallout Universe and stands apart in that it was set to open much, much earlier than most of the other Vault-Tec shelters. In the meantime however, we have a plenty of trailers and interviews to crawl through for details, and reams of background information from other games in the series to pore over for all the gameplay, setting, and story details we can find. Join us as we dig through all the facts about the Fallout 76 release date, beta, multiplayer, and more to find out how it connects to the other games in the Fallout series. We also have details on how Bethesda aim to stop griefing and whether we’re getting microtransactions this time around. Here’s everything we know about Fallout 76. Bethesda has provided a Fallout 76 release date: November 14, 2018. This was announced at Bethesda’s E3 2018 showcase, debunking a previously leaked July release date. For a good idea of what this unique take on the Fallout formula means in practice, check out Game Informer’s gameplay of the first hour above. 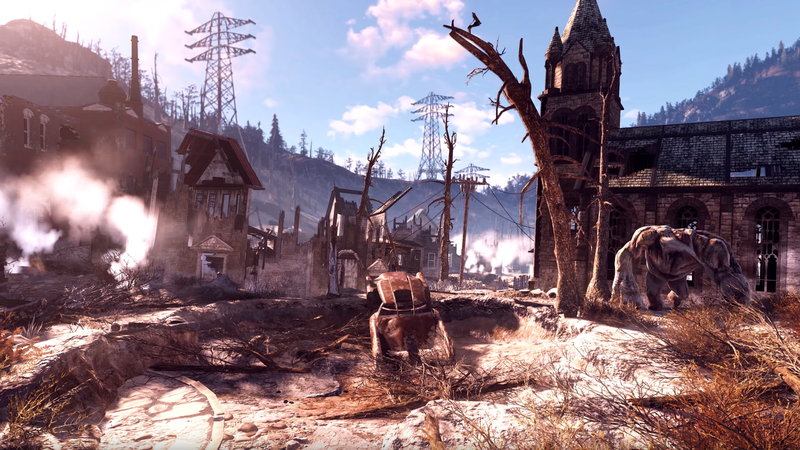 Where once you had the wasteland all to yourself, you’re going to have to share the Fallout 76 setting with real life vault-dwellers. 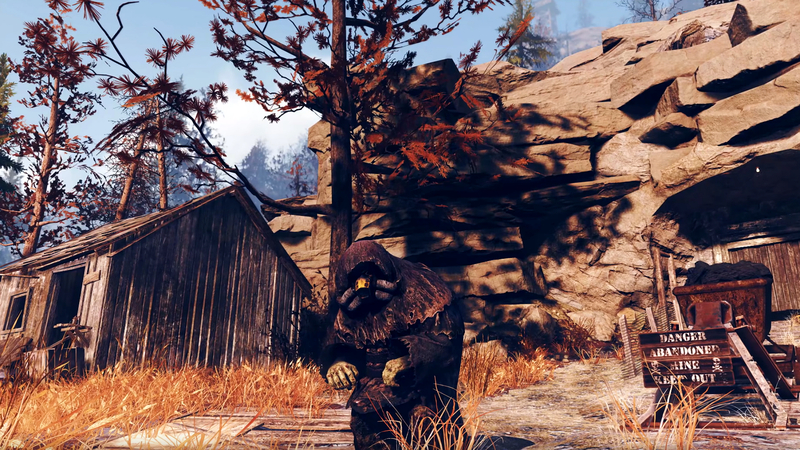 Fallout 76 is entirely online, and although you can play on your lonesome, there’s no ‘I’ in nuclear wasteland. Or in Virgini… actually, never mind. Every human you encounter in this West Virginian prequel will be another player, and they might not necessarily be friendly. So teaming up with friends is probably the best way to secure a patch of the wasteland for yourself. That’s also a good idea from a progression perspective. When you level up you choose which of the seven S.P.E.C.I.A.L attributes you want to increase, and then you pick from a selection of Fallout 76 perk cards that can be shared across your merry band. Speaking of progression, nobody wants to be languishing on the lowly levels for long. 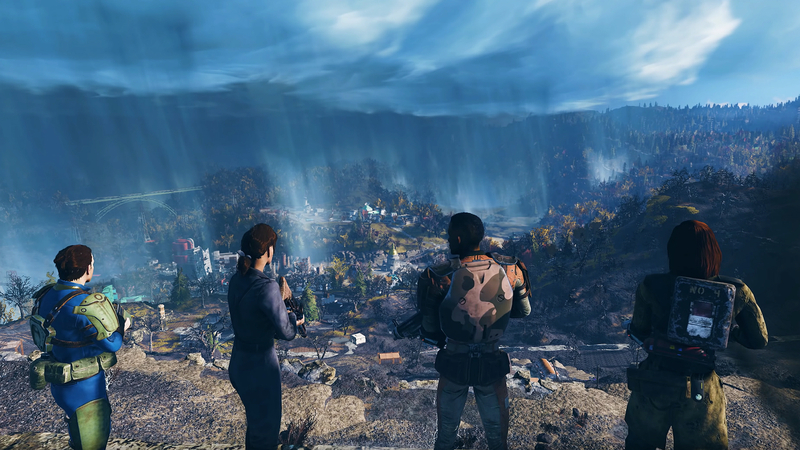 For that reason we’ve helped you our by putting together a Fallout 76 levelling guide and our top tips for success in the Appalachian wastes. Part of that is taking part in Fallout 76 public events, or special repeatable tasks that can reward crucial loot. There will be many more to collect after launch, too, as Fallout 76 themed card packs could tie in to seasonal times such as Christmas, Thanksgiving, and more. Likewise, if you’re one to constantly change your mind about the kind of character you want to play then not to worry: the Fallout 76 character creator can be accessed at any time. The wasteland will be far from overrun with real-life players, however: Fallout 76’s server size will allow for between 24 and 32 players at a time. Given the size of the map, this is hardly going to be the most bustling of online games. Friends that build together, stay together: unlike the specific settlement spots in Fallout 4, you can build anywhere in Fallout 76 and move your progress wherever you like with the Construction and Assembly Mobile Platform, or the humble Fallout 76 C.A.M.P. Teams of players can muck in on their own property in their bid to settle this recently ravaged slice of the US. It’s also useful to look out for claimable bases across the wasteland; Fallout 76 Public Workshops are great C.A.M.P. fodder as they offer resources. But remember that you can’t hold on to them forever. 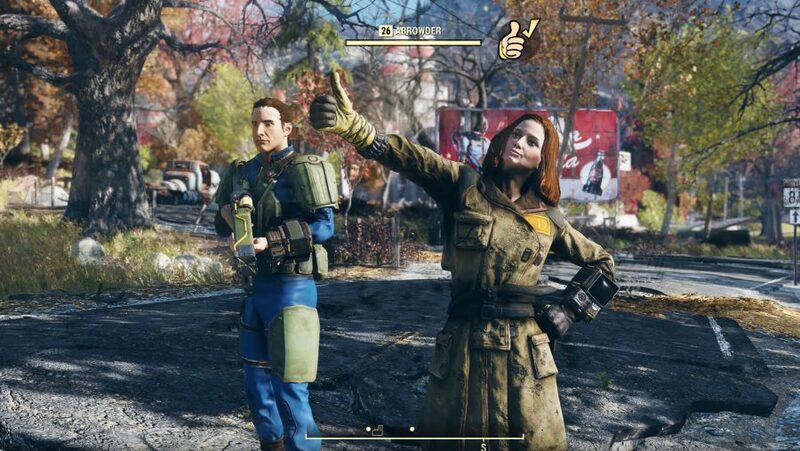 Of course, you’ll also have a bevy of bespoke Fallout 76 emotes so you can communicate with your team even if you don’t have voice chat, and make a fool of yourself in photo mode. As well as teaming up to build, there will also be a Fallout 76 trading system so you can share resources and buy and sell wares to other players. There are also treasure maps. In this YouTube video from JuiceHead we can see a map being looted that gives us a clue as to where to travel to in the massive map for some loot. Given the size of the world, we imagine we’ll be scratching our heads for a few of these. Another concern is how Fallout 76 quests will work in a game without any NPCs. You will start quests through terminals, holotapes, and notes rather than chatting to townsfolk. 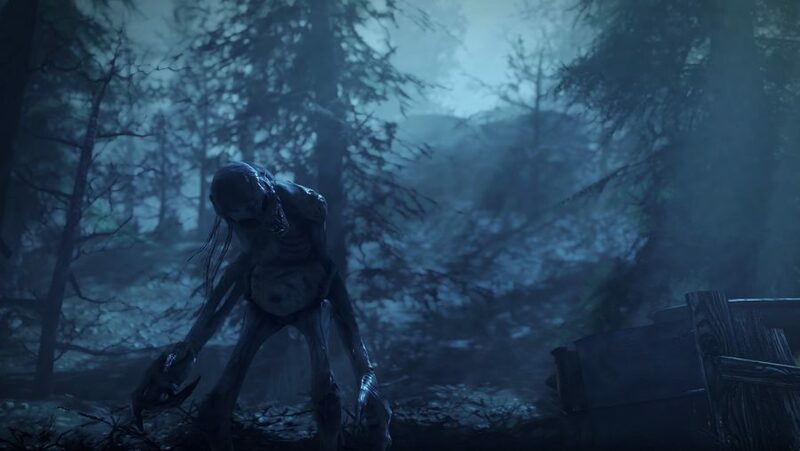 In addition, an interview between GameStar and Todd Howard has revealed that there will be Fallout 76 radiant quests – those are the never-ending quest lines from you would get from NPCs like Preston Garvey in Fallout 4, often telling you that another settlement is in danger and needs your help. Don’t fear, though, there will be a Fallout 76 main quest with a narrative that guides you through to the higher levels, and it culminates with the launching of Fallout 76 nukes. Yeah, remember when we said other players might not be so hospitable? They might well be armed with massive nuclear missiles. After a nuclear fallout, these missiles are a dime a dozen, and you can roam the wastes with friends to the bunkers dotted across the wastes to destroy everything all over again. 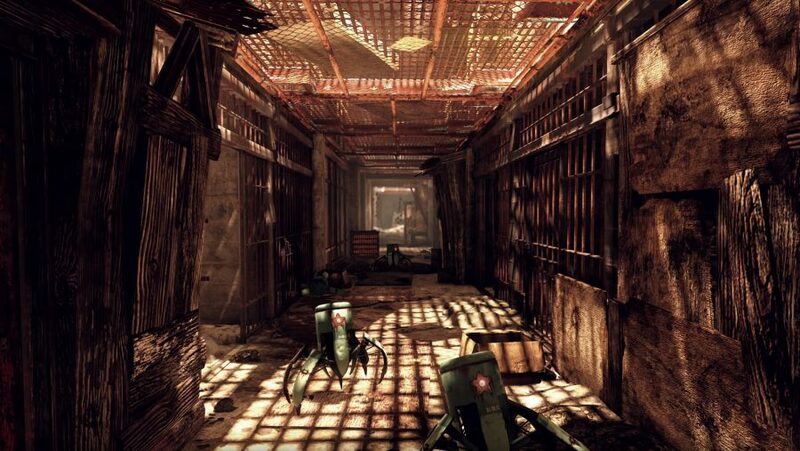 Once you have collected enough bits of code you can unleash hell on other player’s bases, and then greedily collect up the spoils – if the radiation doesn’t get you. It’s going to be like that infamous Megaton moment but on real-life players this time. Delightful. Another question that occurred to us once we heard that we have an online Fallout game is V.A.T.S. That’s the targeting system from previous games in which you can pause time and aim for specific body parts on an enemy. For unavoidable temporal reasons, that’s a problem in a multiplayer game, so the solution is a Fallout 76 V.A.T.S. that works in real time. Another fitting addition to this online survival game is hunger and thirst meters. There will always be those players who just want to watch the world burn, but how will Bethesda tackle the inevitable Fallout 76 griefers who just want to wade into servers, raise hell, and ruin everybody’s game on purpose? Well, they will become a wanted murderer as part of an interesting bounty system that ties into some of Fallout 76’s anti-griefing PvP innovations. If you attack another player they’ll only take a very small fraction of the damage your attack would normally do, if they fight back, both players will then do normal damage – whoever wins gets caps and whatever junk/crafting materials their enemy was carrying. There’s also a Fallout 76 debt system, so if you’re killed in PvP but don’t have enough caps to pay off your bounty then your PvP damage will be reduced by up to 50% for a significant duration. However, if you keep attacking a player who doesn’t fight back and eventually kill them, not only do you not get any rewards, you also get marked for all players to see, a bounty is placed on your head, and – worst of all – you’ll have to pay the caps out of your own pocket. And, if you don’t have any caps to your name and you have a massive bounty to pay off, you’ll get a massive damage debuff. 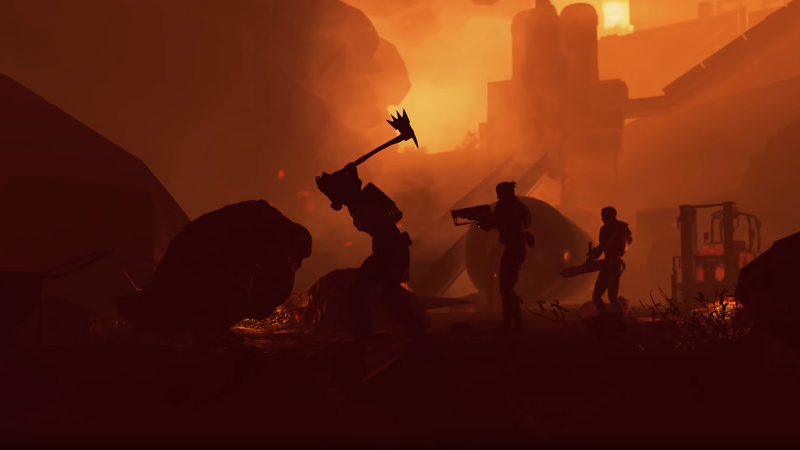 Bethesda shed more light on Fallout 76 PvP at QuakeCon 2018, explaining that player stats and gear will be balanced when it comes to PvP so new players still stand a chance when they come up against other players in power armor. 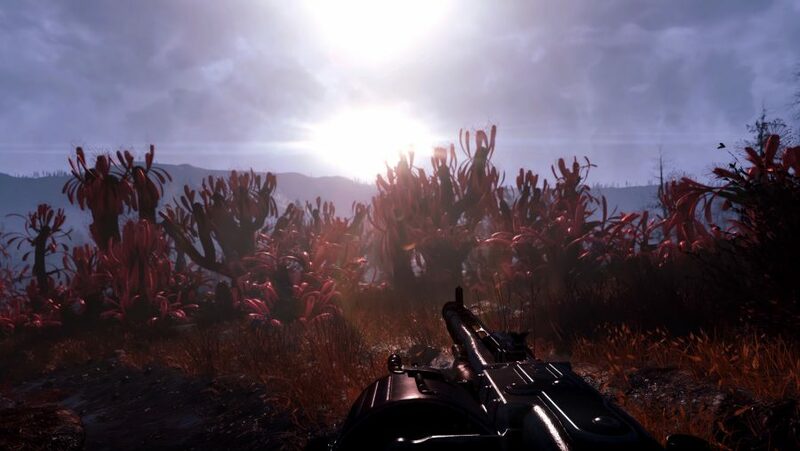 Private servers and Fallout 76 mods should also be coming to the game so this new wasteland can be a little more familiar. 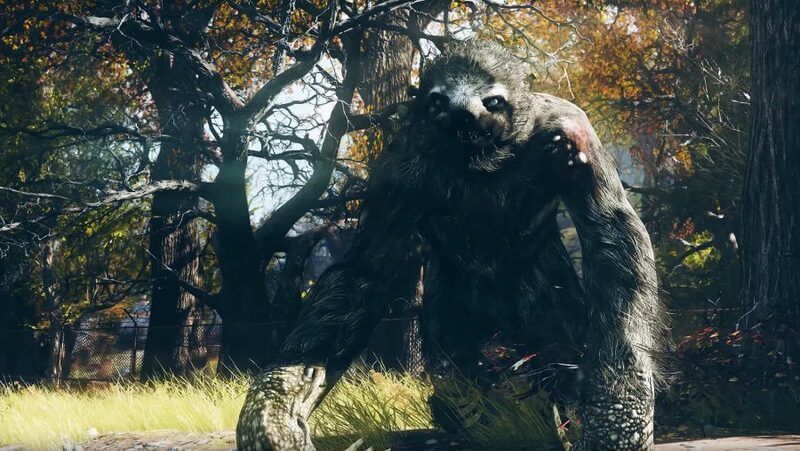 A lot of fans are also anxious that Fallout 76 stealth will not work with the new online systems, but Bethesda has said that stealth will be useful for taking down tough creatures as well as hiding your location from other players on the world map. Then again, just as the national governments that got you into this mess in the first place, everything is going to descend into chaos again anyway. 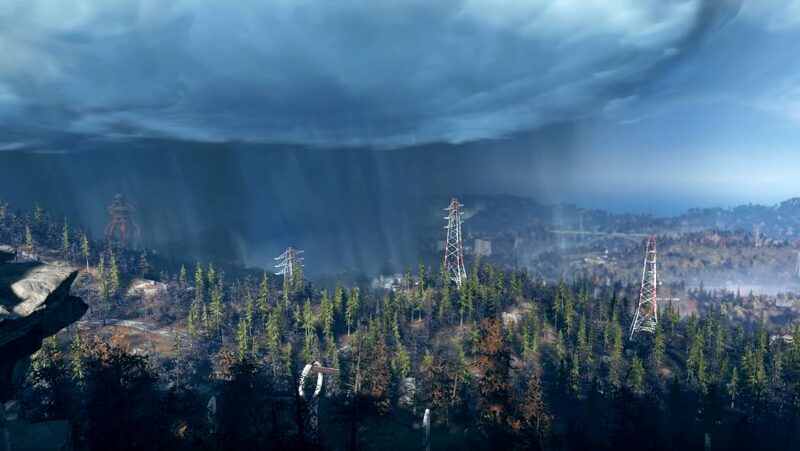 As with any other online game, we’re going to need a Fallout 76 endgame, and this will the take the shape of “cyclical nuclear war.” According to the Noclip documentary, it is intended that players partner up to track down missiles from the nuclear bunkers dotted across West Virginia and blow the world up all over again. The newly-nuked zone will then become a higher level with more precious loot drops. To further keep us going, Fallout 76 12v12 deathmatches could be on the way, too. 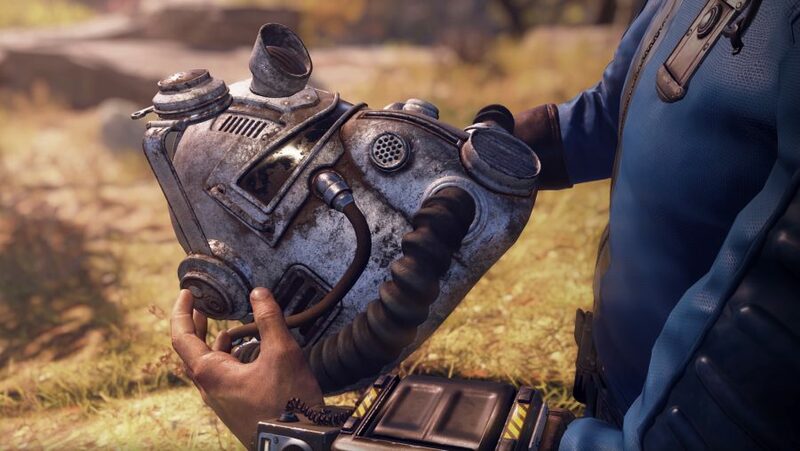 It’s been confirmed many times that Fallout 76 will feature cosmetic-only microtransactions in order to support its online features and future DLC. However it is possible to earn the in-game currency used for microtransactions simply by playing the game and completing Fallout 76 Atoms challenges, although be prepared to put a lot of hours in. Todd Howard told Gamestar that the aim for Fallout 76 microtransactions is to avoid being pay-to-win, but also that all items should be available to earn in-game. An important topic for the first time in the series: will there be Fallout 76 cross-play? Apparently not, which is a big problem for any of you with friends who only game on consoles. According to an interview with GameStar, Bethesda’s game director Todd Howard said that they had wanted to allow cross-platform play, but Sony were unhelpful in the process and as a result, Fallout 76 cross-play is unlikely. So far there has been a Fallout 76 reveal trailer, an extended E3 2018 version, a live action trailer, a cinematic in-game cinematic intro teaser, and a host of gameplay trailers. The extended Fallout 76 E3 2018 trailer above gives us a much better look at the post-apocalyptic West Virginia setting and some hints at what the Fallout 76 gameplay will be like. The extended Fallout 76 trailer above confirms much of what we expected following the teases of the reveal. First is the setting: John Denver’s Take Me Home, Country Roads song plays once again but, this time, we get to see the country roads of West Virginia. We can also see some of the new monsters we will be fighting – including a huge winded beast – which take inspiration from local folklore. A lot might be changing for Fallout 76, but this live action trailer above featuring guns and nukes reassures us that this is still Fallout, just with your mates. 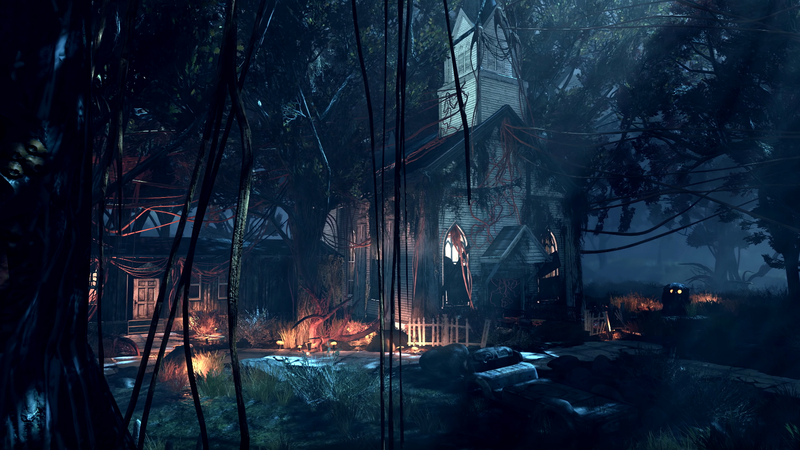 The gameplay teaser trailer above give us an idea of the beginning of the game, starting in Vault 76. After what appears to have been a big party ahead of ‘Reclamation Day’ our character has overslept after ‘overindulging’. Before we head out, we’ve got our new (or, well, old) Pip-Boy to pick up, first. This next Fallout 76 trailer illuminates how online gameplay will work. Our kind and informative voiceover man tells us that other human inhabitants might not necessarily be as “neighbourly” as you. One of these nasty souls is PGarvey, who is clearly no longer in the business of honourably rescuing settlements. The player appears to gain points for successfully protecting their base from this highly memeable miscreant. Since there are friendly folk out there, we also get to see co-op combat with friends the player has found – and we get Fallout 76 emotes with which to say hello, too. This base-building trailer introduces us to C.A.M.P., the Construction and Assembly Mobile Platform, which allows you to build in any location and move it anywhere. We also see the threats to your C.A.M.P. that prove that you might want to find some friends for Fallout 76. In the nuclear warfare gameplay trailer we are introduced to the Fallout 76 nukes that allow you to destroy other player bases. You didn’t hear it from us. 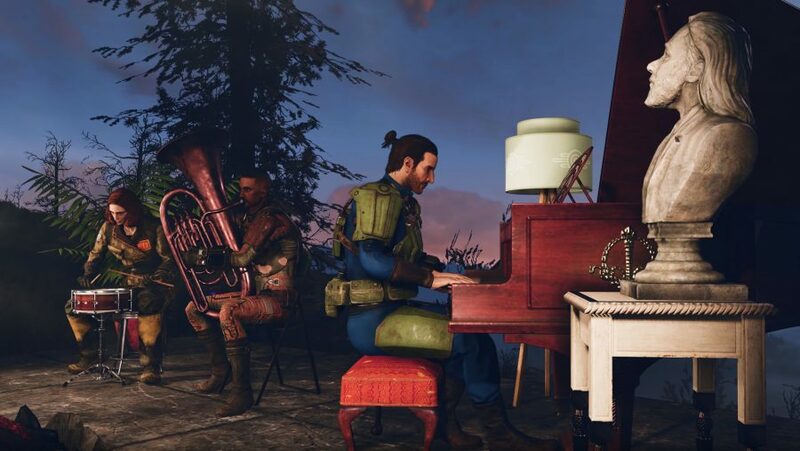 The Fallout 76 reveal trailer above follows the series format to the letter, kicking off with a classic song – this time John Denver’s Take Me Home, Country Roads – and proceeding to pan through a key location for the upcoming game, which in this case is Vault 76. The reveal trailer shows off an abandoned Vault 76 adorned with the Vault-Tec trademark blue and yellow colour scheme and Vault Boy statues wherever you look. We also see our first glimpse of what could be Fallout 76’s main character at the end of the trailer, equipping a Pip-Boy 2000 and donning a Vault 76 jumpsuit. At the start of the Fallout 76 trailer, just as the camera zooms out to reveal a Pip-Boy 2000 sitting on a desk, we can see a date displayed along the bottom of the wrist-mounted computer. The year shown is 2102, which puts the events of Fallout 76 just 25 years after the Great War – that is by far the earliest in the series’ timeline that a Fallout game has ever taken place. 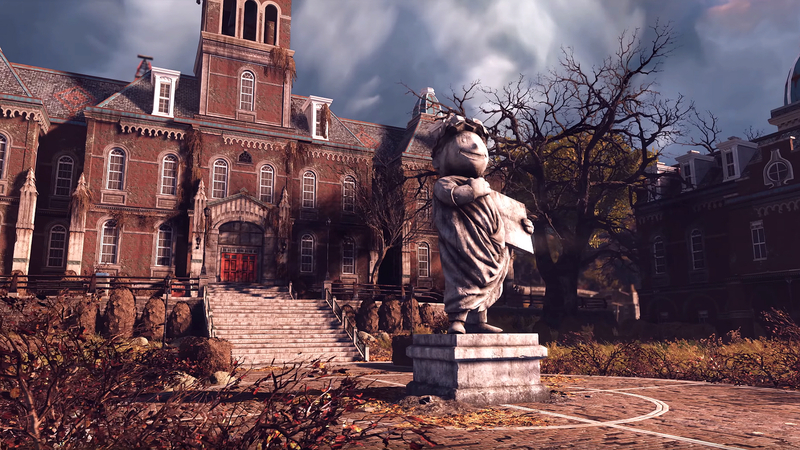 Bethesda have also treated us to the Fallout 76 in-game cinematic intro alongside their beta date announcement. 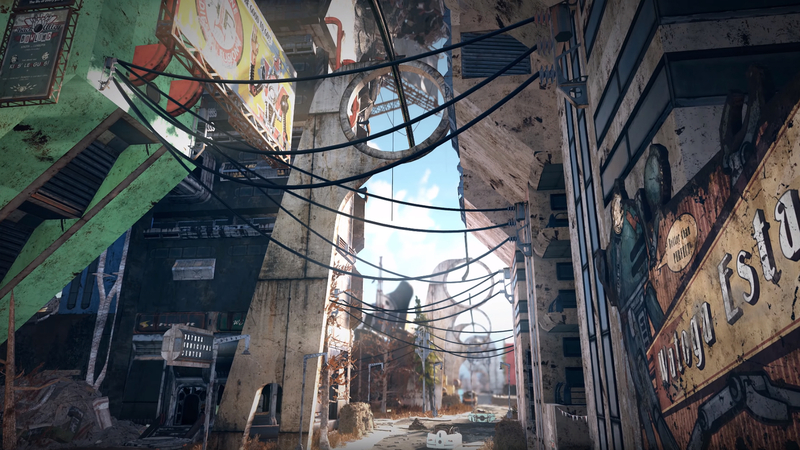 The trailer gives us a glimpse of life in Vault 76 and once again features Ron Perlman telling us once again that “war never changes.” Check out the trailer below. Is Fallout 76 on Steam? Nope, the next Fallout game will be the first Bethesda game to ditch Steam in favour of launching on Bethesda’s own launcher. 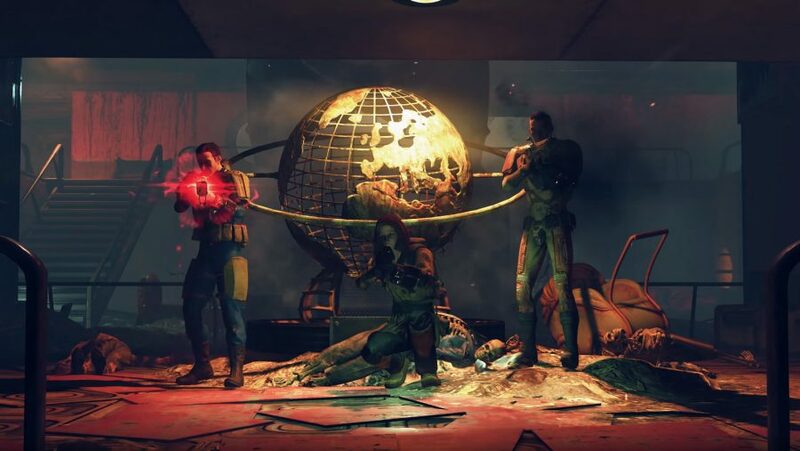 Pete Hines, Bethesda’s vice president of global marketing, says “it was just really important to us to have that direct relationship with the customer, that didn’t involve somebody else.” Additionally, Hines says that by having all of their PC players using the same platform they will not get caught out by changes to third-party software and be able to address issues. That said, it appears that Bethesda.net might not end up being the only place where you can play the game. In fact, it appears that you can pre-order Fallout 76 on the Microsoft store, too. Perhaps Microsoft are selling codes on their client that can only be activated on Battle.net, but we’ll have to wait and see. 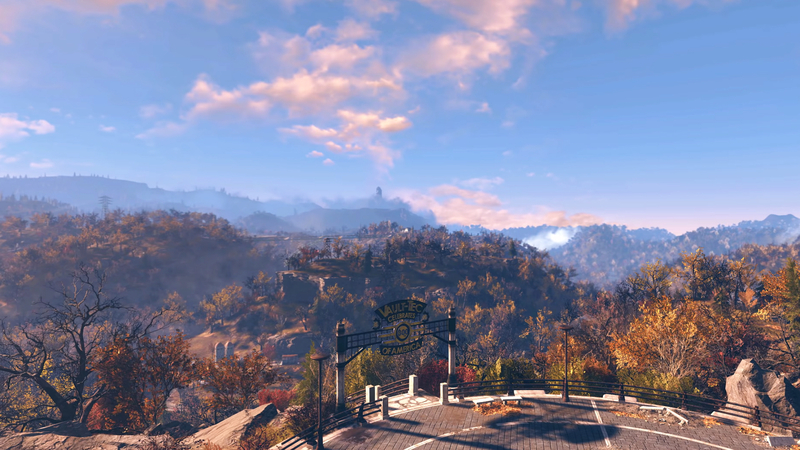 Todd Howard revealed that the Fallout 76 setting will be in West Virginia and that the game will be four times the size of Fallout 4 – and we have a decent idea of how the Fallout 76 locations will look on the map, too – so expect its map to stretch far beyond West Virginia and even into parts of Maryland and the Capital Wasteland that was Fallout 3’s setting. 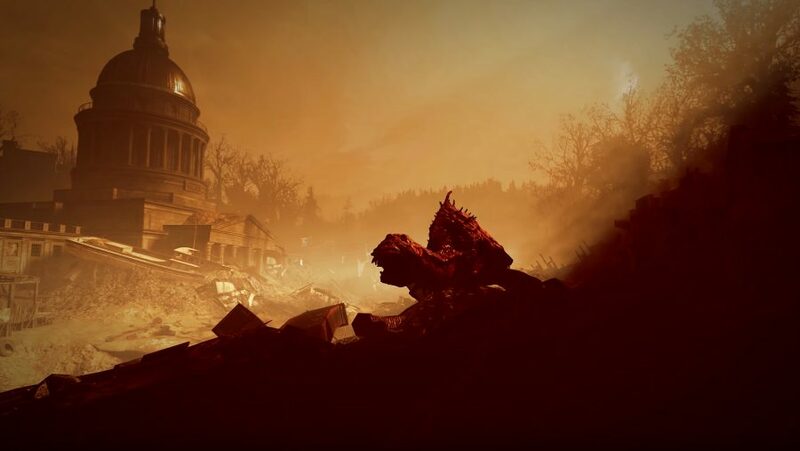 The Fallout 76 setting is surprisingly close to the events of the Great War itself with only 25 years separating the two. 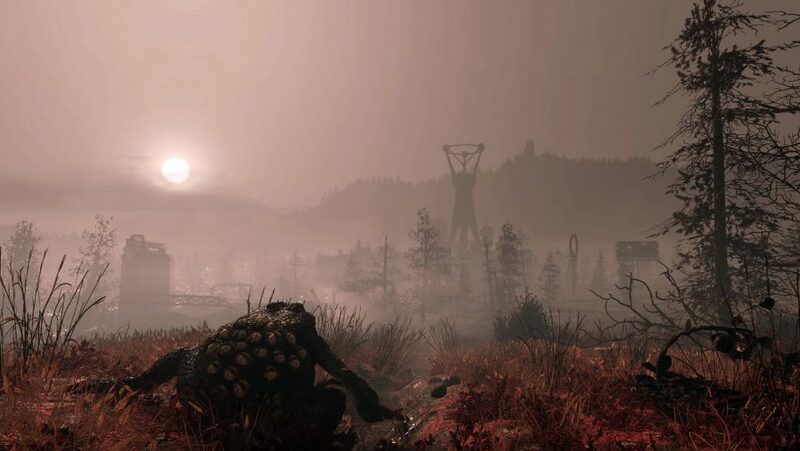 That makes Fallout 76 a prequel to all the other Fallout games, which means you will see a totally different type of wasteland to anything featured before in the series, one where the old world has only recently been destroyed and much of its tech, hardware, and architecture remains, yet to be salvaged ghouls and the other terrifying Fallout 76 monsters, inspired by local folklore. 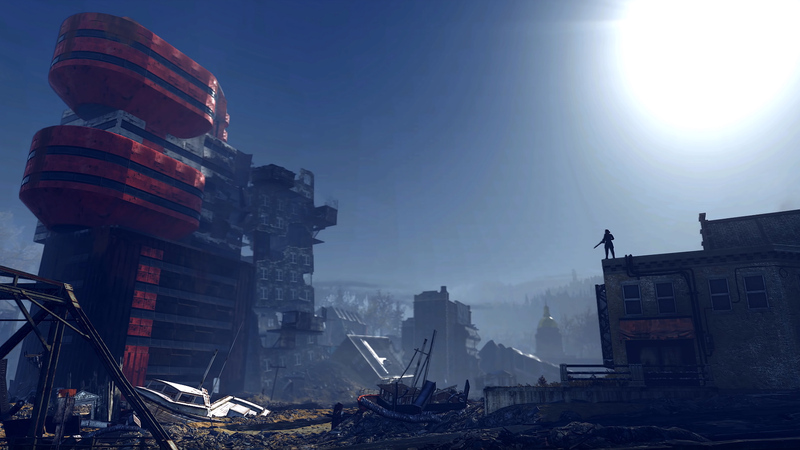 Likewise, as Vault 76 is also among the first shelters to open post-war, it’s very unlikely that we will encounter any human settlements like Megaton or Diamond City – expect a much wilder wasteland than we’ve seen in any previous Fallout game. 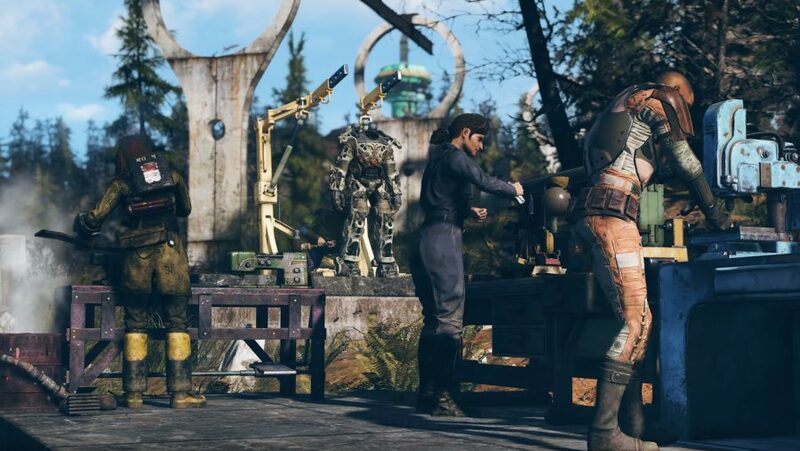 The setting of Fallout 76 so close to the Great War has led many to believe that most of the classic Fallout factions such as the Brotherhood of Steel wouldn’t be present in Fallout 76, especially as know the game will not feature any human NPCs. 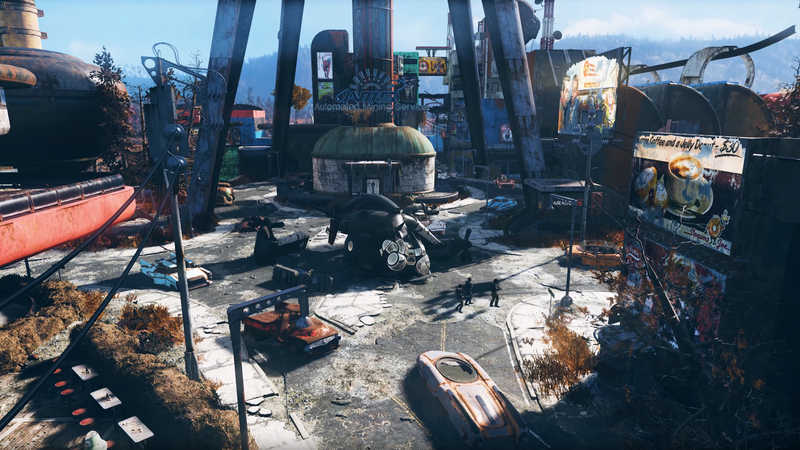 However, you can actually see a crashed Vertibird and some Brotherhood of Steel-branded barricades in one of the gameplay trailers – it’s hard to spot, but it’s in the image above – which suggests the faction will make a cameo at the very least. The Brotherhood of Steel were formed in 2077 in New California and not much is known about their activities until as late as 2134, which is long after the events of Fallout 76. Look even closer at the insignia and you’ll spot it’s actually the logo used by the East Coast chapter as seen in Fallout 3, which has a larger gear on the right-hand side. The curious part here is that this branch was founded in 2254 – is this simply a mistake from Bethesda that crept into the trailer or are we about to learn some new details about Fallout’s most famous faction? Bethesda is making the odd tweak to Fallout lore to enable the Brotherhood of Steel to feature in Fallout 76. 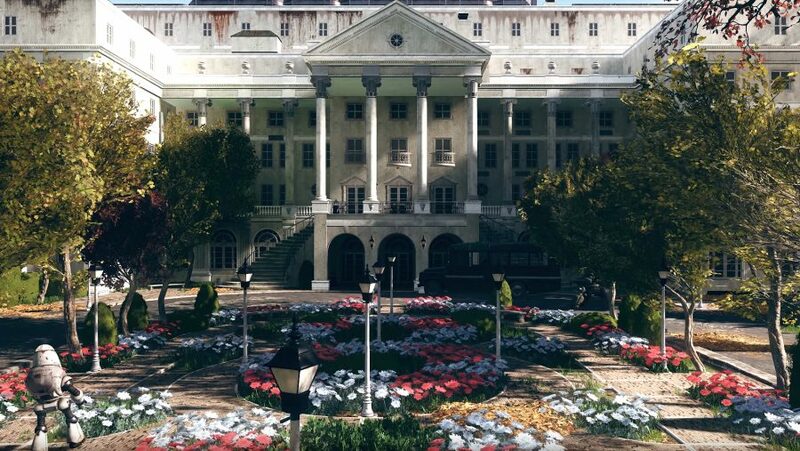 According a recent tweet the Brotherhood of Steel used a functioning satellite to either travel to West Virginia or at least spread the faction across the country.